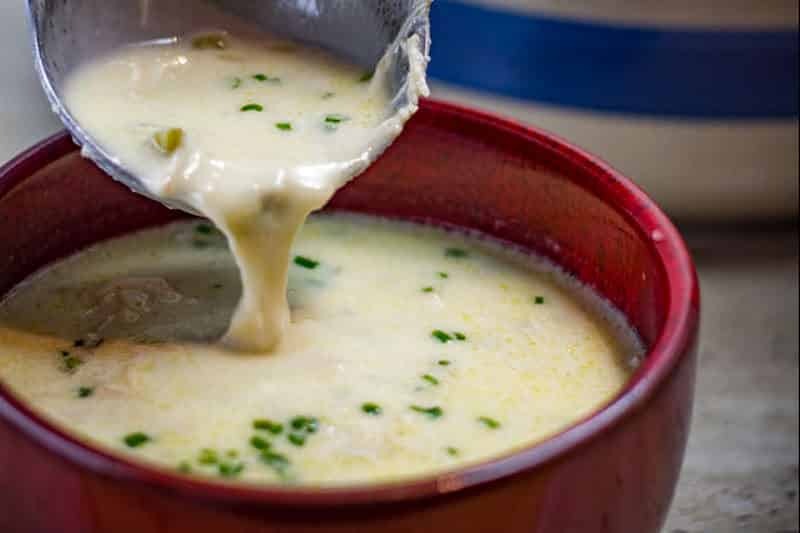 Our creamy Keto Chicken Soup recipe is a warm, comforting, and hearty dish. 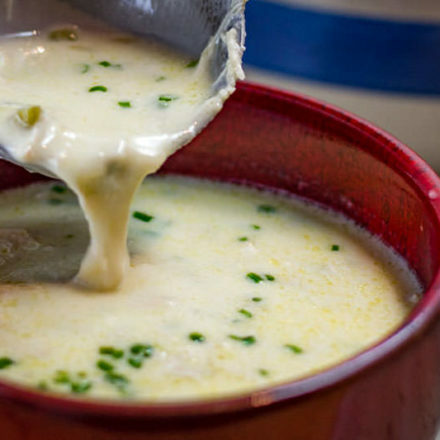 This low-carb cream of chicken soup is easy to prepare in under 10 minutes. Make this creamy chicken soup in a slow cooker or pressure cooker for tender meat, but you could also use the stove. This chicken soup is a great source of electrolytes, fats and minerals while remaining low-carb. Cook it large batches and refriderate or freeze to eat during the week. Keto cream of chicken soup recipe makes 5 serves. The total amount of chicken soup yielded is 1.5kg/3.3lb, approximately 300g/10.5oz per serving. Place your pressure cooker over high heat. Add the butter, onion and celery and saute until the onion turns translucent. Add the chicken, salt, pepper and chicken stock and stir well. Place the lid on the cooker, pressurize and reduce the heat to low. Cook for 1 hour. Turn off the heat and leave the pressure cooker to depressurize for 15 minutes before removing the lid. Use a metal spoon to press the chicken against the sides of the pot to shred the meat. Place the pot over low heat and add the cream. Sprinkle the xanthan gum over the simmering soup and whisk for 5 minutes to ensure there are no lumps. Remove from the heat and serve topped with the chives. If you don’t have a pressure cooker you can use a slow cooker. Using the exact same method cook the Keto Chicken Soup recipe for 4hrs in the slow cooker. Or you can use a pot with the lid on the stove top over a low heat. Simmer for 1.5 – 2hrs stirring occasionally (every 15 mins). Homemade soups are so satisfying to cook. 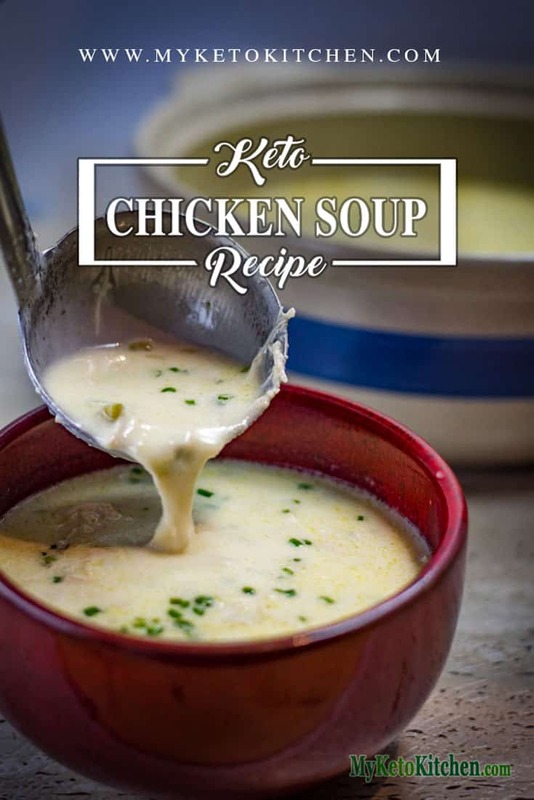 This Cream of Keto Chicken Soup Recipe is warm and hearty and you can cook it in the "Slow Cooker or Pressure Cooker". Takes only 10 minutes to prepare. 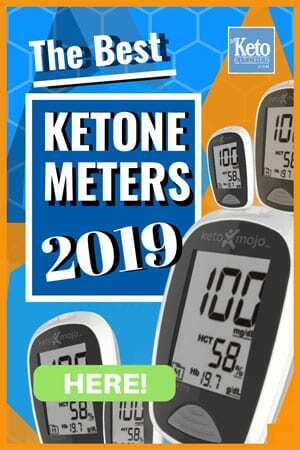 To make a larger batch of this Keto Chicken Soup Recipe adjust the servings above. Keto Curry Chicken – Low Carb Indian Recipe – Easy to Make at Home! This recipe is so delicious. No noodles, dumplings or rice. If was so good and very filling. I could eat it again and again. Will definitely make again. Glad you enjoyed it, Mary. Thanks for stopping by! Absolutely delicious! I make it just about every week! My family loves it! Thank you! You sure can Margaret! I’m so glad that you enjoyed it. Can I use arabic gum instead of xantham gum or can I not use it at all? I have never used arabic gum before so I can’t be sure what effect it will have. I’d love to know how it turns out if you try it. Far and away….the best recipe ever! Making it for the second time tonight. It’s absolutely delicious. I use the new Swansons “crafted” roasted chicken broth and extra chives.